When life gets a little rough around the edges, a comforting dose of rich, warm chocolate just might make everything feel better again. Here are 10 of our favorite warm chocolate desserts for one, two, or a few. You don't have to have banana bread in the house to make this cozy, spoonable dessert. Top tips: Double the amount of chocolate chips in the mix (because chocolate) and use scalding hot water for the water bath it bakes in. 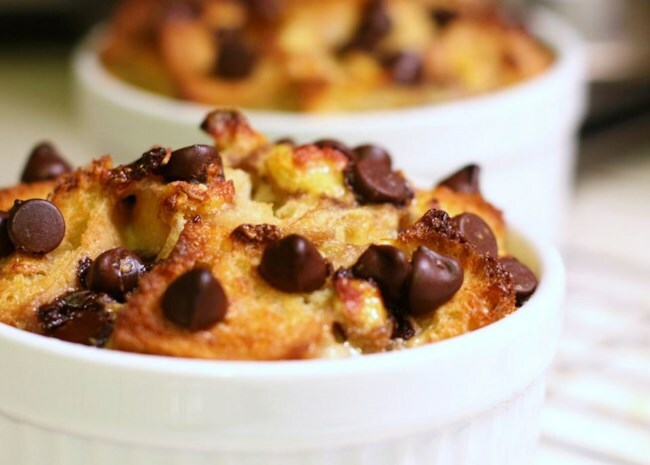 More sweet and savory bread pudding recipes. Fact or fiction? This was actually a brilliant rebranding by a chef whose cakes came out of the oven too soon. Top Tip: Since these little cakes have molten centers, you can't use the toothpick trick to test for doneness. Instead, look for the edges of the cake to pull away from the sides of the ramekins. That tells you the outer cake is baked. Can you bear to wait 9 minutes for caveman-friendly chocolate bliss? 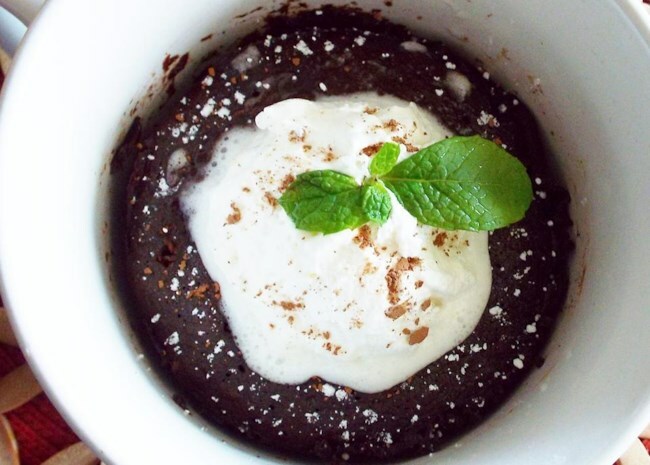 Top Tips: Use coconut oil instead of olive oil to go with the coconut flour in this speedy single-serve chocolate cake in a mug. A sundae served on top of a grilled donut. What? Apparently, it's a favorite late-night snack at the University of Virginia. Watch this video for Late Night Donut Sundae to see how it's made. Sweet, salty, creamy, crunchy all in one. Sort of like mixed emotions. Top Tips: Lower your broiler rack a notch or two and keep an eye on them so they don't scorch. 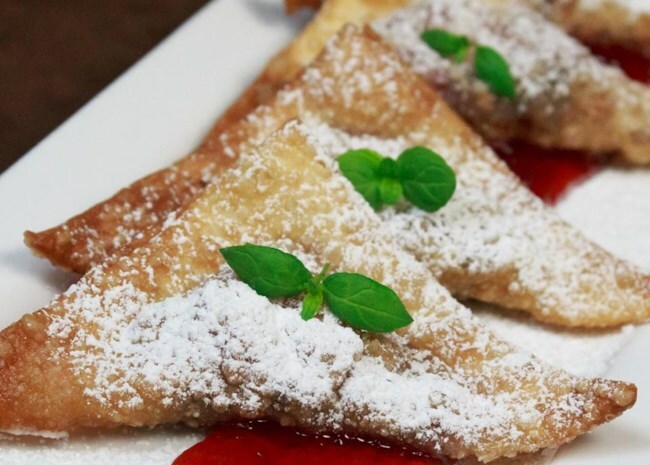 Crispy on the outside, melty chocolate and sweet strawberries on the inside. Top Tips: Don't feel like frying? 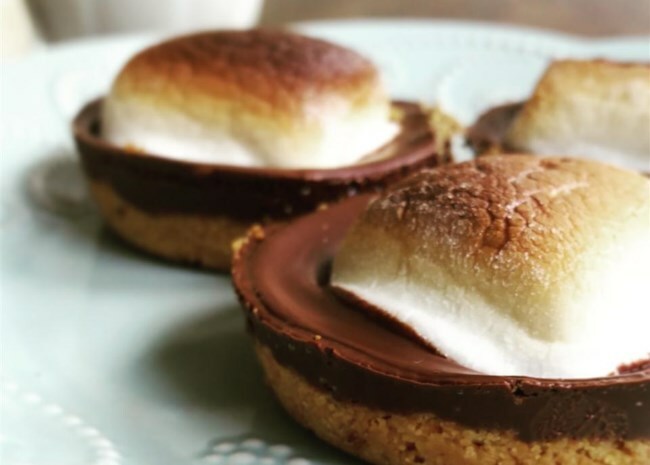 Juliegd broiled half her batch instead of frying them, and her son liked them better. "I sprayed both sides with cooking spray. I put them under the broiler for about a minute on each side." 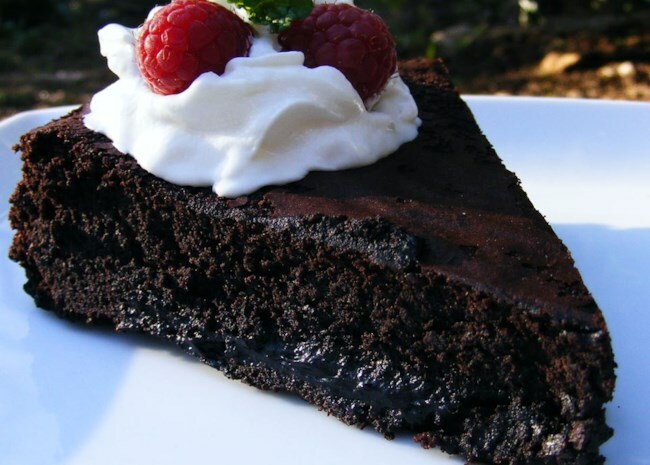 Rich, warm, chocolaty, and gluten-free! Top Tips: You'll know this cake is done when the edges are puffy and the surface is firm except for a small jiggly bit right in the center. The residual heat will finish baking this off. This recipe makes two souffles, so you can share your feelings with a sympathetic soul. Allrecipes home cook Pamela Dee Ledford confesses she ate both! (We don't judge.) And Susan Grace surprised herself, saying, "OMG I made souffle!!! It was delicious and amazing and I made souffle!" 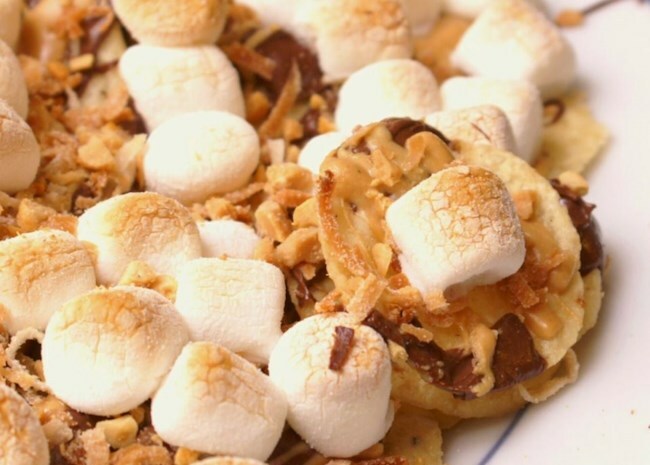 No need to leave the comfort of home in order to get your toasty marshmallow, melty chocolate, crunchy graham cracker fix. 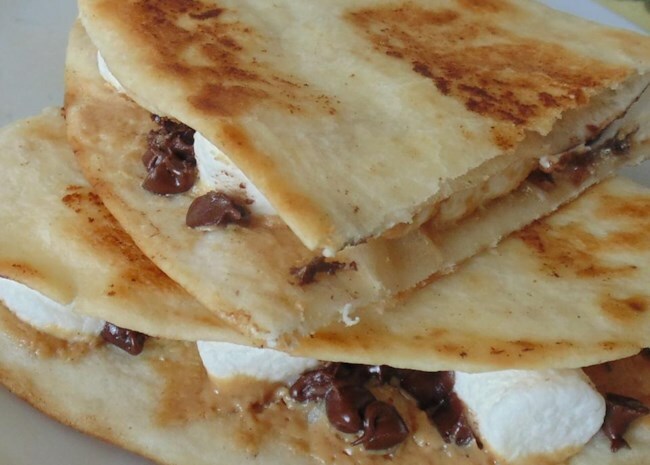 It's dangerously easy to keep the ingredients on hand for these crispy, melty, chocolaty, gooey quesadillas. You can go full Elvis and slip some sliced banana in the middle, if you're really feeling it. More: See how to make perfect caramel sauce.